Black Legion Emerald Dragon Triple Throwing Knife Set | BUDK.com - Knives & Swords At The Lowest Prices! 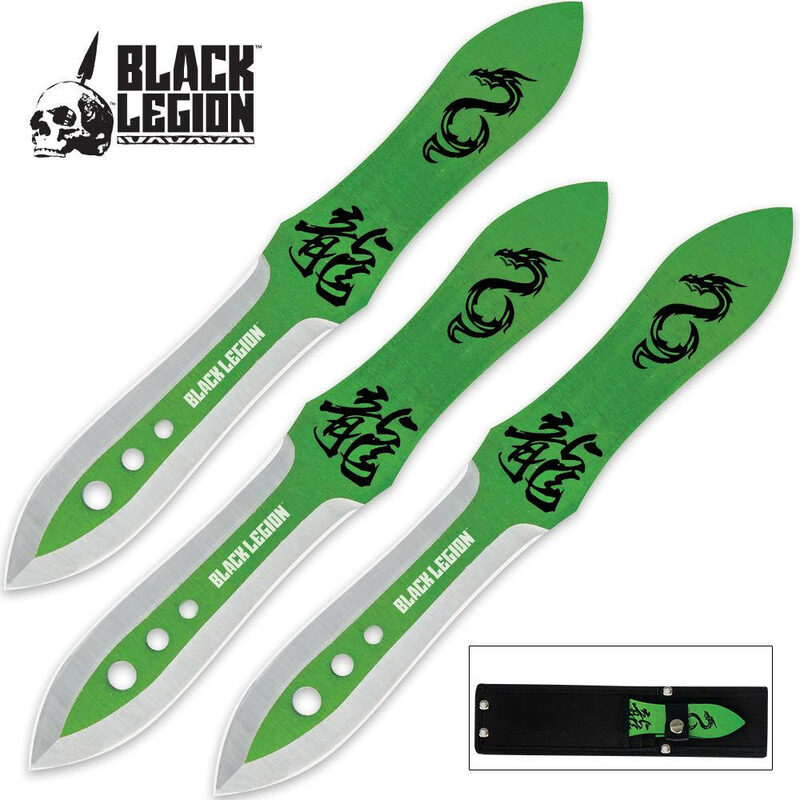 You won't find a more stylish set of quality throwing knives than our Black Legion Emerald Dragon set! Razor-sharp, all-stainless steel construction provides a durable thrower that is both functional and eye catching. The vivid green coating will make onlookers do a double take when they see you throwing these attractive throwers. Each throwing knife measures 8 3/8" overall. Includes nylon belt sheath with snap closure.